Rusty's Rivet Lab Headquarters transforms just like it does in the show! Opens to reveal Rusty's workshop and closes for easy storage. 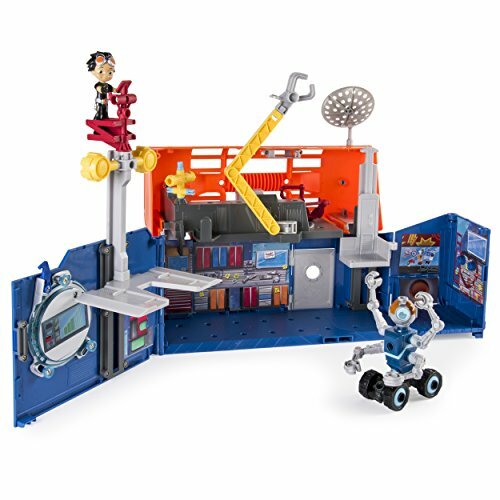 This playset features an exclusive Rusty figure, build, and includes real lights and sounds from the show. All of the Rusty Rivets Build Me Rivet System sets work together to create unique designs. The Rusty Rivets Rivet Lab Playset is for ages 3+ and requires 3 LR44 batteries (included).